The mild climate and fine weather all year round make the Sorrentine Penisular an ideal destination in any season. The first town in the Peninsular is Vico Equense with its Giusso Castle on the coast and the austere Mont Faito (1400 metres high) which allows you to pass from the sea to the mountain in just a few minutes. Next we find Meta di Sorrento, a town whose sun-drenched beaches are a must for visitors. Piano di Sorrento harmoniously blends its sea-faring vocation with its rural identity and its development as a major shopping centre. Beyond Piano di Sorrento we enter Sant’Agnello, where the royal house of Bourbon and the noble families from all over Europe built their majestic villas. 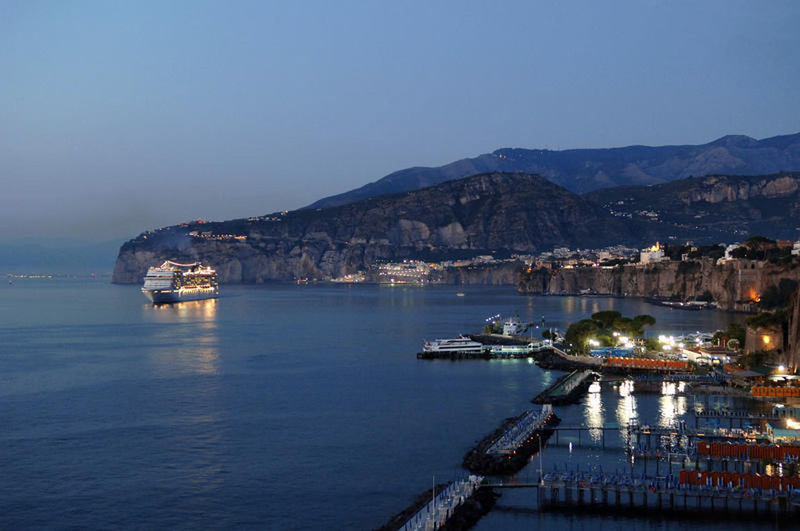 Also overlooking the sea and framed by the surronding hills, we’ll find the international town of Sorrento with its historic city centre, its harbours and gardens of orange and lemon trees. Ever since ancient times men have been fascinated by this area and many peoples established settlements here: the ancient Greeks were so enchanted that they imagined this was the home of Sirens, whose sweet song was a lure that no mariner could defy. The Romans built a road as far as the headland known as Punta Campanella and on the coast they constructed small harbours, fish-tanks, nymphaea and baths using local spring water to embellish their sumptuous villas, such as that of Pollius Felix, whose remains are still visible. In the eighteenth century, the sorrentine Peninsular was re-discovered by the grand tour and intellectuals from all over Europe, including Nietzsche and Ibsen, inauguranting the taste for living in a villa, which made the sorrentine Peninsular a popular resort. Fior di latte (written also as fiordilatte) is used to distinguish the mozzarella made from cow’s milk from that made from buffalo’s milk; when twisted to form a plait it is called treccia. This is the typical one made in Sorrento.